In October Ansible 2.7 was released and brought us two powerful agnostic network modules, cli_command and cli_config. 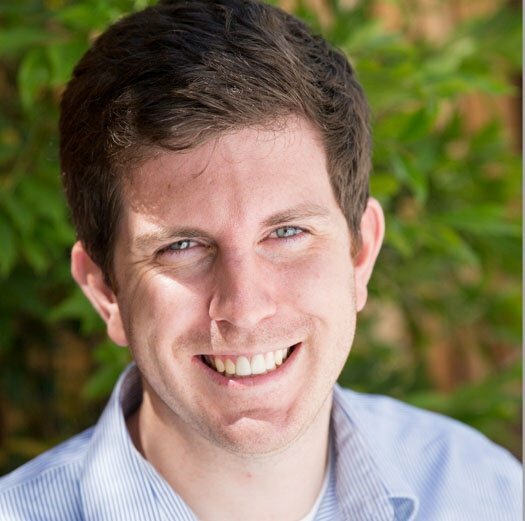 Do you have two or more network vendors within your environment? The goal of agnostic modules is to simplify Ansible Playbooks for network engineers that deal with a variety of network platforms. Rather than having to deal with platform specific modules (e.g. eos_config, ios_config, junos_config), you can now use cli_command or cli_config to reduce the amount of tasks and conditionals within a playbook, and make the playbook easier to use. This post will demonstrate how to use these modules and contrast them to platform specific modules. I’ll show some playbook examples and common use cases to help illustrate how you can use these new platform agnostic modules. Both the cli_command and cli_config only work with the network_cli connection plugin. For those unfamiliar with the network_cli connection plugin check out this blog post I did last April. 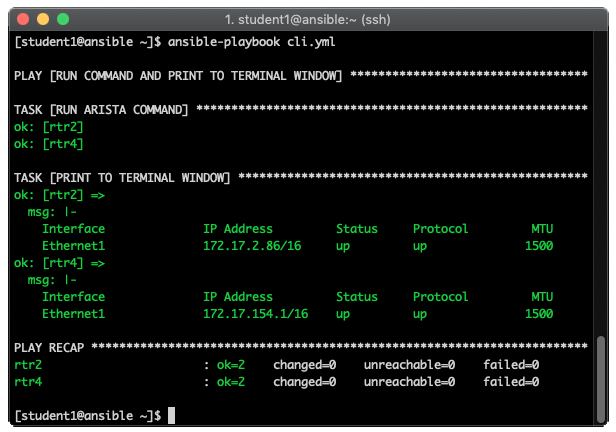 The goal of network_cli is to make playbooks look, feel and operate on network devices, the same way Ansible works on Linux hosts. What can you do with the cli_command? The cli_command allows you to run arbitrary commands on network devices. Let’s show a simple example using the cli_command, on an Arista vEOS device. This second method is much cleaner. The include_tasks calls an Ansible Playbook named eos.yml, ios.yml, nxos.yml, etc and runs the corresponding command or tasks that were needed. While this is much better because you can separate Ansible Playbooks based on the network platform, it is still not as succinct or easy as agnostic modules. The underlying functionality is the same, but the Ansible Playbooks become much simpler. The reason I bring up this include_tasks method is that there is still going to be a time and place, even with agnostic modules, to separate out the playbook logic. For example the command shown above for Juniper is different compared to Arista and Cisco (show ip interface brief versus show interface terse). Three *os_command tasks are reduced to one task. The show_interfaces variable is stored as a group variable on a per-platform basis. For a full example look at this GitHub repository. The cli_command module does not have a backup parameter. Why? Because the backup parameter can be quite inflexible and hard to manipulate. One of the most common feature requests from Ansible users is for every config module to be able to set the backup destination. Rather than recreate an incredible amount of logic and code in each config module, we can reuse an existing module. In this case we can leverage the already widely used copy module! There are a lot of incredible things we can do with the agnostic modules that help make our Ansible Network Automation Playbooks much more succinct and simple. The cli_comand and cli_config modules have been in the Ansible project since October 2018. Consider upgrading if you have not already. If you are already using the cli_command or cli_config module, please share! I will be highlighting more examples using agnostic modules in subsequent blog posts so stay tuned. 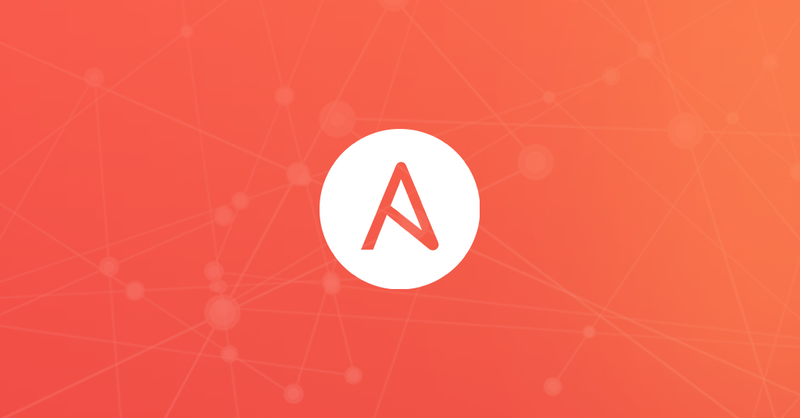 There are a few great ways you can get more information on Ansible Network Automation. I also highly recommend coming to AnsibleFest Atlanta 2019. We will have a dedicated network automation track where you will get the opportunity to talk to Ansible Network Automation engineers who develop and maintain the code behind the Ansible project. 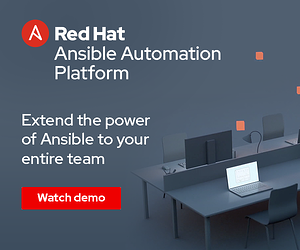 We will also have Ansible solution architects and consultants who have operational experience putting Ansible Network Automation into production for a variety of different customers and use-cases. Sign up here to be notified when more AnsibleFest announcements are made.